Use to apply paints and mediums to gel plates. Be creative! Embellish your brayer with rubber bands, bubble wrap, burlap, unmounted stamps, lace and so much more! Features a footed stand to reduce roller dent and keep your work surface paint free. 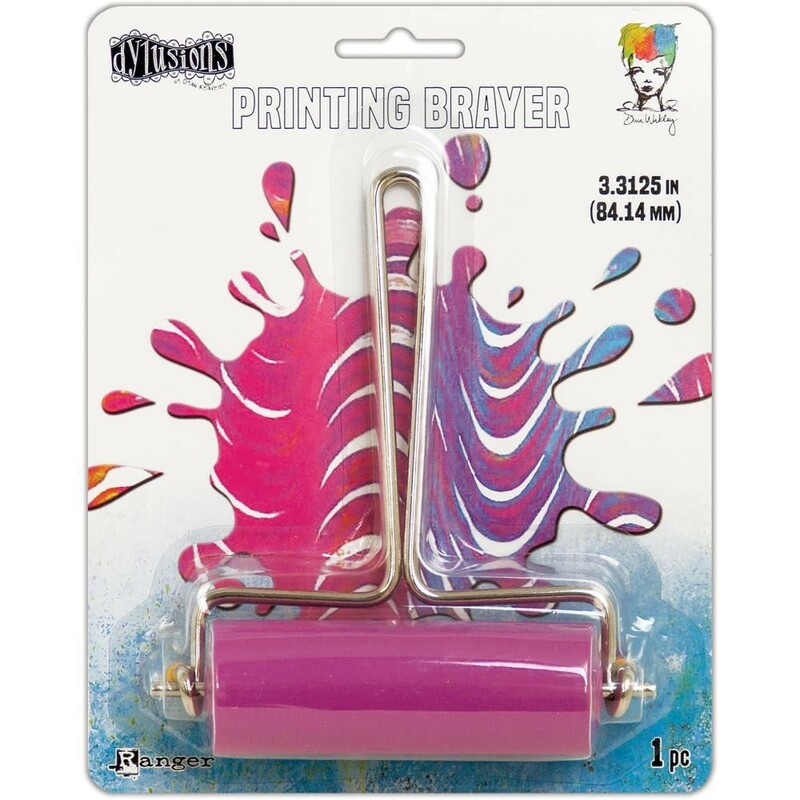 This package contains one 3.25x4.25 inch brayer with 2.25 inch roller. Imported.